today we have learnt some new tpr. the kids liked it very much. they also played a lot at the park. they never get tired of playing. we are really very hopeful about our kids. all of them are so intelligent and smart. we are having great time today. hope you all have a great time too. how are you all? hope you all are doing fine. today kids were so happy. they learned lots of new words with jolly phonics sounds and also practiced counting numbers. after completing our lesson we enjoyed playing at the park. 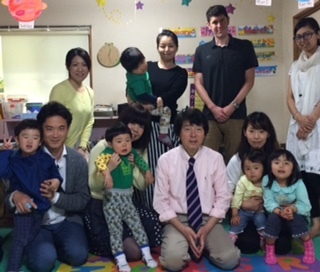 the golden week holidays are over and we are back to our school. we hope that you all have enjoyed a lot during the holidays. before the holidays we celebrated the children's day and today we are preparing for mother's day. the kids were so excited to make new things for mother's day. it was so fun today. have a nice weekend to all of you. may,5th on next tuesday is children's day so we made some koinobori. kids really enjoyed while we were celebrating children's day. they were so happy all the time. learning with songs and rhymes is a very efficient method. today, we started to learn some new words with actions. the kids were singing a rhymes and also danced . have a nice holidays to all of you. today, we started studying according to our new lesson plan for this month. all the students are so excited. before starting the new lesson, we reviewed our old lessons. we also took a surprise test and all the students did very well. it was so nice day..
have a safe and sound day to all of you. Great! the weather is warm and sunny! we are doing a bit of a rearrangement at school, and the kids love to make every job a challange for me. 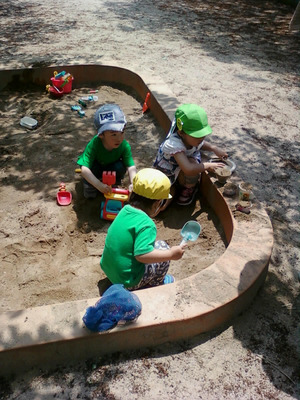 we do our lesson and then head to the park to meet our friends and play in the sandpit. how are you all. today we have learnt so many new things. after completing our lesson we went to the park. we really had a wonderful time there..
kids were so happy. we had a very good day today. have a safe and sound weekend. today, kids had a wonderful day at school. they have learnt so many things and were very attentive during the study time. they really enjoyed dancing with the song too. kids enjoyed a lot while they were playing at the park. have a nice and safe day to all of you. © 2019 わかば保育園 All Rights Reserved.